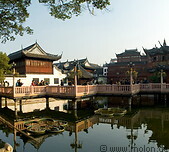 The Yuyuan Gardens in the old town were built between 1559 and 1577 by the Pan family, rich Ming Dynasty officials. 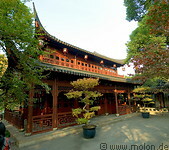 After being destroyed in the Opium War in 1842, the gardens were restored and are nowadays a major tourist attraction. Next to the park there is a market and a big food court.